In the past week, I've been rooting through the USDA's 2010 Dietary Guidelines (1). Here are a few of my thoughts. Nutritional science has advanced rapidly, and the evidence now demonstrates the major limitations of nutrient-based metrics for prevention of chronic disease. The proportion of total energy from fat appears largely unrelated to risk of cardiovascular disease, cancer, diabetes, or obesity. Saturated fat—targeted by nearly all nutrition-related professional organizations and governmental agencies—has little relation to heart disease within most prevailing dietary patterns. Typical recommendations to consume at least half of total energy as carbohydrate, a nutrient for which humans have no absolute requirement, conflate foods with widely divergent physiologic effects (eg, brown rice, white bread, apples). Foods are grouped based on protein content (chicken, fish, beans, nuts) despite demonstrably different health effects. With few exceptions (eg, omega-3 fats, trans fat, salt), individual compounds in isolation have small effects on chronic diseases. Thus, little of the information found on food labels’ “nutrition facts” panels provides useful guidance for selecting healthier foods to prevent chronic disease. Although this approach may seem radical, it actually represents a return to more traditional, time-tested ways of eating. Healthier food-based dietary patterns have existed for generations among some populations. Tell it! Although he doesn't use the word nutritionism, that's basically what he's arguing against. Dr. Mozaffarian seems to represent the less reductionist school of nutrition, which is a more informed version of what nutrition pioneers such as Sir Edward Mellanby, Dr. May Mellanby, Dr. Weston Price and Sir Robert McCarrison advocated. Although the 2010 guidelines are too focused on nutrients for my taste, they do spend some time talking about food groups and eating patterns, for example, recommending an increase in the consumption of vegetables, fruit, whole grains and seafood. They also recommend Mediterranean and plant-focused eating patterns. Although I don't think their recommendations quite hit the mark, they do reflect a shift in thinking. Another thing I enjoyed about the Guidelines is the table on page 12 of chapter 2, which shows just how messed up the average American diet is. The number one source of calories in all age groups is "grain-based desserts". The next five in adults are yeast breads, chicken dishes, soda/sports drinks, alcohol and pizza. To see typical American food habits presented like this just blows me away. They call this the "obesogenic environment"; the idea that we're surrounded by tasty but unhealthy food and situations that favor the consumption of it. I agree. Strong evidence shows that glycemic index and/or glycemic load are not associated with body weight; thus, it is not necessary to consider these measures when selecting carbohydrate foods and beverages for weight management. The first problem is the creation of the category "solid fats and added sugars", abbreviated SoFAS. With the creation of this term, they lump pastured butter together with Crisco and Red Hots. If they've been hiding the evidence that pastured butter, virgin coconut oil or red palm oil contribute to heart disease, I'd like to see it so I can stop eating them! The current high rates of overweight and obesity among virtually all subgroups of the population in the United States demonstrate that many Americans are in calorie imbalance—that is, they consume more calories than they expend. To curb the obesity epidemic and improve their health, Americans need to make significant efforts to decrease the total number of calories they consume from foods and beverages and increase calorie expenditure through physical activity. Looks like we have Sherlock Holmes on the case. Now that we have this information, all we have to do is tell overweight people to eat less and they'll be lean again! What's that, they already know and it's not working?? Someone should tell the USDA. Jokes aside, I do think energy balance is a huge issue, perhaps even the central issue in chronic disease risk in affluent nations. The basic problem is that Americans are eating more calories than is optimal, and they have a very hard time stopping. It's not because they have less willpower than their stoic ancestors, it's because their bodies have decided that overweight/obesity is the new lean, and they defend that higher level of fat mass against changes. Simply telling an overweight person to eat fewer calories, without changing the dietary context, is not very effective in the long term, due to compensatory mechanisms including hunger and increased metabolic efficiency (fewer calories burned for the same muscular exertion). What does the USDA recommend to lose fat or maintain leanness? Count calories. Doesn't work for most people, although I acknowledge that it is physically possible to lose fat (and lean mass) by restricting calories. Reduce sweetened beverages. Thumbs up. Serve smaller portions. As far as I know, this rests exclusively on very short-term studies that showed that food consumed at a single meal or three is reduced if portion size is smaller. I guess it can't hurt to try it, but I'm not convinced it will have any effect on long-term body fatness. I think restaurant portion sizes have probably increased because people eat more, rather than the other way around, although both could be true. Eat foods that are less calorie dense. I think vegetables are healthy, but is it because they're less calorie-dense? Why is dietary fat intake generally not associated with obesity if it's the most calorie-dense substance? Why do many people lose body fat eating energy-dense low-carbohydrate diets? Not convinced, but I'm feeling open minded about this one. Exercise more and watch less TV. Exercise is good. But don't let it make you hungry, because then you'll eat more! Overall, I think their recommendations for fat loss are not very satisfying because they don't address the core reasons Americans aren't in energy balance. Eliminating sweetened beverages and exercising are the most solid advice they offered in my opinion. The rest strikes me as wishy-washy advice that's offered because they have to say something. Average daily calories available per person in the marketplace increased approximately 600 calories, with the greatest increases in the availability of added fats and oils, grains, milk and milk products, and caloric sweeteners. Average daily calories available per person in the marketplace increased approximately 600 calories per day, 250 calories of which were actually consumed (USDA and NHANES). Added fats increased, due to a large increase in seed oil intake, but total fat intake remained approximately the same because of a roughly equal decrease in fatty meat and whole milk consumption (USDA and NHANES). Grain intake, predominantly wheat, increased, as did the consumption of refined sweeteners, predominantly high-fructose corn syrup (USDA). It reads a bit differently once you have a little more information, doesn't it? Animal fat intake declined considerably, and was replaced by seed oils, in parallel with the obesity and diabetes epidemics. Maybe it contributed, maybe it didn't, but why not just be forthright about it? People appreciate honesty. Although the 2010 USDA Dietary Guidelines show some promising trends, and contain some good information, I hope you can find a better source than the USDA for your nutrition advice. Which begs the question...Should the government be giving dietary advice? I'm really enjoying your posts--and this one was no exception. Just one comment: in my experience, when I start a new exercise program I do eat more. Then, after some weeks of regular exercise, I notice my appetite returns to its pre-exercise level. Since my calorie burn is higher and my calorie intake is level, I tend to slowly lose weight. Exercise used to make me hungry. Now it doesn't. See Move More: Solutions to problems. This looks like the onion just got hold of my proposed fat and and carbohydrate taxonomy and is writing a parody with this acronym. Let's combine the worst dietary component with the most benign and it will average out! I agree with your analysis. Spot- on as usual. Did you happen to listen to Gary Taubes' interview with Jimmy Moore? I was surprised when he referred to set-point theory as "naive". I think a set-point is the only possible explanation for normal people having stable weight without counting anything. The best thing we could do for our health, for our planet, and for our constitutional republic is to eliminate ALL subsidies doled out by our overdeveloped government. You said: "Why is dietary fat intake generally not associated with obesity if it's the most calorie-dense substance?" Does this apply to industrial vegetable oils in quantities consumed today? Everyone especially women want to loose weight, but they do the wrong diet. Information from the Internet sometimes even dangerous, drugs are also dangerous. Then how women want to be healthy if they are wrong on a diet. Diet they choose must be wrong. Is there a best diet? Stephen, are you still gluten free? Did you do a blind challenge at the end of January to see if you're sensitive to it? Along with dieting, exercise is a truly valuable tool for weightloss, despite of what some experts may say. Hopefully working copy of O Primitivo's first link. I suffer late effects of polio. I cannot exercise sufficiently to work off any useful number of calories. 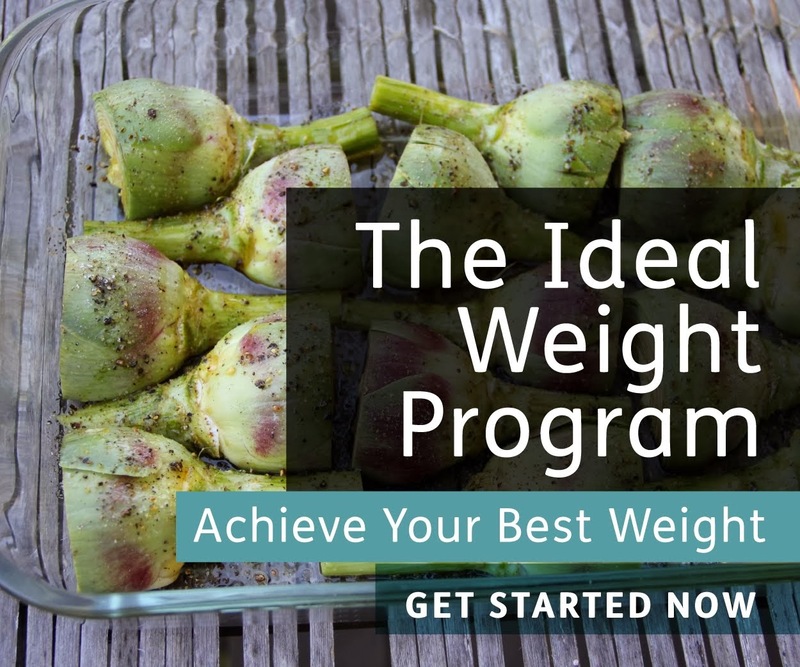 But while I agree enjoyable, fun exercise, is healthy it should never be presented as a NECESSARY part of a weight loss program, in exactly the same way calorie restriction is not a necessary aspect to weight reduction. It's perfectly possible to lose weight without calorie, carb counting or indulging in unnecessary exercise. I've done it and I've not regained despite never knowingly achieving a calorie deficit. I found myself scratching my head totally over the SoFAS category. As I mused a few days ago over on my own totally personal and non-scientific blog: "SoFAS: Just such an odd combining. I agree that sugar is an empty calorie, and probably even far worse than an empty calorie as it's actively disease-promoting. But good fats help promote the body's health. So why lump them in a single category?" That was the strangest thing in the entire document to me. Gary thinks fat mass is regulated by fat tissue. 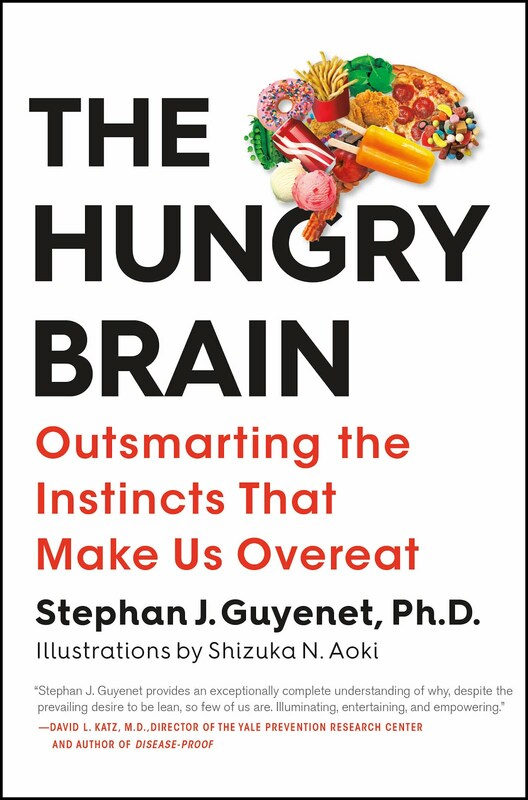 He downplays the evidence suggesting that body fatness is homeostatically regulated by the brain in a manner similar to blood pressure, blood pH, oxygen tension, ion concentrations, and many other things. That being said, different people have different understandings of what the "set point" means. I use it to mean a level of fat mass that's actively defended against changes in the short term. But it can obviously change in the long term, or else there would be no such thing as obesity. That's why some object to the term, because the "set point" is not permanently fixed. Seed oil intake is not typically associated with higher fat mass in observational studies, as far as I can tell. But keep in mind that these studied look at populations with uniformly high seed oil intakes, and are not designed to evaluate prenatal and cross-generational effects. I'm almost done with the gluten challenge, but I'm still blinded for a couple more days. I'll report the results when I can. "I cannot exercise sufficiently to work off any useful number of calories." Me, neither. I use exercise as a way to reduce insulin resistance (along with Vitamin D3). See Insulin Resistance: Solutions to problems. "Saturated fat—targeted by nearly all nutrition-related professional organizations and governmental agencies—has little relation to heart disease within most prevailing dietary patterns"
Quite the statement coming from the USDA! That quote didn't come from the USDA, although I wish it did! It came from Dariush Mozaffarian, a Harvard epidemiologist, and a colleague of his. You started off by highligting Mozaffarian's and Ludwig's comment in JAMA August 2010. Dariush Mozaffarian, Walter Willet, Alice Lichtenstein and Lewis Kuller had a Great Fat Debate at a nutrition congress (FNCE 2010). Now that's available on video at eatright.org. Very interesting! I think the government should pay attention on this alarming problem regarding obesity. over 60% or 97.1 million of Americans are found overweight. In addition, parental influence is one of the most effective way to prevent this kind of malnutrition. This trend can be seen in the rising numbers of overweight and obese adults. One of the most lasting and influential impacts on a child will be the examples set by the parents. O Primitivo, I think the issue with exercise is much the same as the one Kurt Harris is raising with his macronutrient series. All exercise is not the same anymore than all carbohydrates or all fats are the same. My lay person's take at this point is this: exercise in line with the calories in vs out hypothesis is not useful in terms of weight loss. Just as with dieting, you can use exercise in the short term to make big changes with your weight ... just look at the participants on the Biggest Loser! But it's not at all clear that this is a successful longer-term strategy ... and it's also not clear if you're doing as much harm as good (especially with chronic cardio and cortisol levels etc). However, exercise in support of a more efficient metabolism and/or addressing insulin sensitivity may be another kettle of fish entirely. I like Mark Sisson's approach: lifting heavy things, sprinting, and moving a lot at a slower pace (read: resistance training, HIIT, low-aerobic activities like walking). I was chatting about diet and weight with our good family friend yesterday, who's a pediatrician. She's still recommending eat-less/excercise more to the parents of obese patients. I asked her how often that works, and she answered "about 5% of the time". I'm trying to get her to see the wisdom of lowering carbs (without coming across as a crank), but it's hard to change the habits of a career. Have you got a link to that video please? Fascinating breakdown of the SAD. Probably a bit misleading as the "chicken" and "meat" labels cover some vegetable preparations. In terms of what, you can see the problem with three of the top items (desert, pizza and yeast breads) all being wheat based. IN terms of government intervention, goes back to smoking. Very succesful linkage between smoking and lung cancer. Gave the idea you could use diet as a tool agaist CVD and blood pressure. I see from other reports the US is doing quite well in term of blood cholesterol levels and blood pressure (compared to other countries) but I doubt the outcomes are quite so positive. and we've created a massive obesity epidemic. I like the define "normal" weight as 5-85 percentile. Is there a way to clip off the 75-85 percentiles; by way of BMI those people are quite fat. I praised you for posting such a nice Blog. Patients usually conduct domestic medical travel to avail of major discounts on elective surgical procedures or to seek procedures that are not available in his neighborhood.Gastric Banding India is one of the best way to get full care and treatment. Maybe the setpoint is actually a dearth of dietary protein? Anybody interested in the Protein Leverage Hypothesis by Raubenheimer? Seems we have a protein acquisition goal in our food choices. When the necessary amount of protein is not met, we screw up and eat cr@p, and lots of it. Ah, and on the reverse side, if animals meet the protein requirement, their hunger disappears. Ever notice how in many native Papua New Guinean societies, the men are quite lean and the women rather pudgy? It turns out that in many of them, only the men are allowed to eat meat at ceremonies. So women have to scrounge for bugs or fish. According to the Hypothesis, the lack of protein is making them overeat, while the men don't have this problem since they're chowing on pig. Here are a few more studies on Protein Leveraging and how it affects food intake and fat/lean body mass. Hey Stephan, do you know if micronutrient testing is legit? I wonder how this is going to affect Meals on Wheels. They set their meals by what the USDA considers healthy. I sincerely hope that they don't try to emphasize "eating less" in their target population. The last thing that old folks need to do is lose more weight. Mrs. Ed and other - there is a major problem in the government giving dietary advice. The official "guidelines" influence what doctors tell their patients to eat, and how organizations related to heart disease, diabetes, etc educate people with those conditions. My mother, who has worked in medicine for 35 years, is utterly convinced that saturated fat and cholesterol are bad and whole wheat and fiber are good - because that it was the government's scientists and doctors have been saying! The more influence the government has in health care, the more harm their "guidelines" cause. Do we really want them regulating our entire health care system? Will they deny coverage to people who eat too much meat and eggs and not enough whole wheat? Nice analysis. It'd also be interesting to see a post on what you eat yourself on an average day/week. I adore your "Let me edit that so it's more complete:" paragraph. Brilliant. Thank you.